Audio Service – Music Production, Recording, Mixing, Mastering, Songwriting/Arrangement/Orchestration, Session Guitar/Bass, MIDI Programming, Audio Restoration. Daniel believes in the pure genetics of audio; a moment of sound should mystify the most enthusiastic audiophile and capture the heart and mind of a listener. With these philosophies in mind, Daniel has dedicated his life to working in the audio industry, pursuing his passion both professionally and academically whilst working alongside high-profile clients and independent artists. As an academic, Daniel was presented with a Scholarship at The Australian Institute of Music, where he studied both Composition & Music Production, and Audio Engineering. 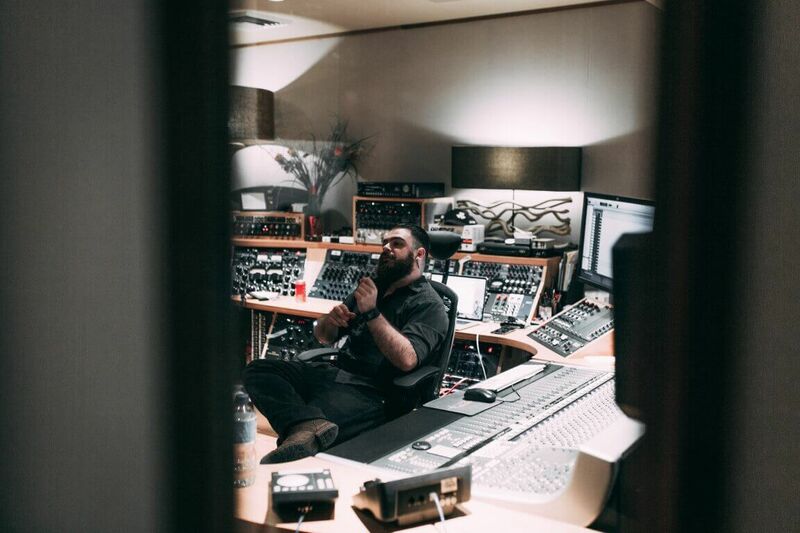 During his studies Daniel worked alongside industry figureheads Glen Phimister (INXS, Olivia Newton-John, Slim Dusty), Jason De Wilde (Jack Johnson, John Butler Trio, Cat Empire) and Greg Simmons (founder of Audio Technology Magazine). Recently, Daniel was awarded the Dean’s List of Excellence in Academic Performance for his Master’s of Architectural Science (Audio & Acoustics) degree at The University of Sydney. He is currently completing his thesis on spatial electroacoustics and applied psychoacoustics. His extensive professional career has equipped Daniel with an extremely high level of motivation, creativity and independent thinking. Daniel has spent the last 10 years working in music production, live sound, musical theatre, video post-production and stage management, with companies such as Universal Production Music, Score Addiction and Loud & Clear Audio. As a formally-trained audio engineer and acoustician, paired with the exceptional management skills gained from working in large-scale project management, Daniel offers creative and effective solutions in all technical, project-based environments.